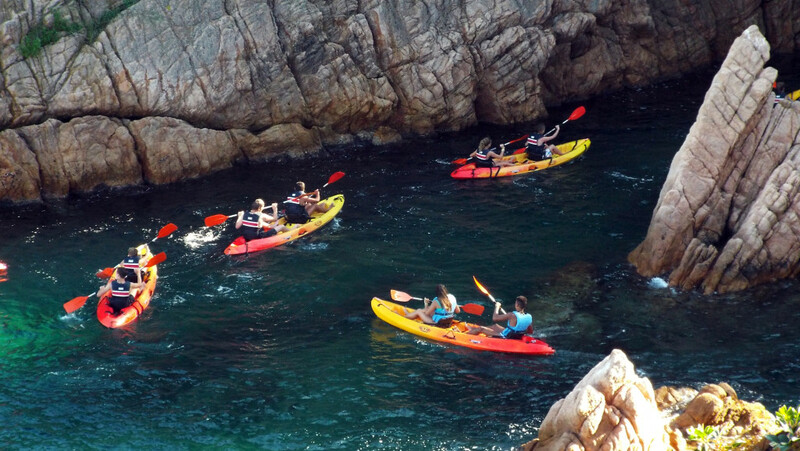 The Sailing and kayak school Sant Pol -Costa Brava offers you the kayak + snorkel excursion so you can discover the Costa Brava from a different perspective, it is a 2-hour excursion in which we will explore the entire coastline of S’Agaró Bay. 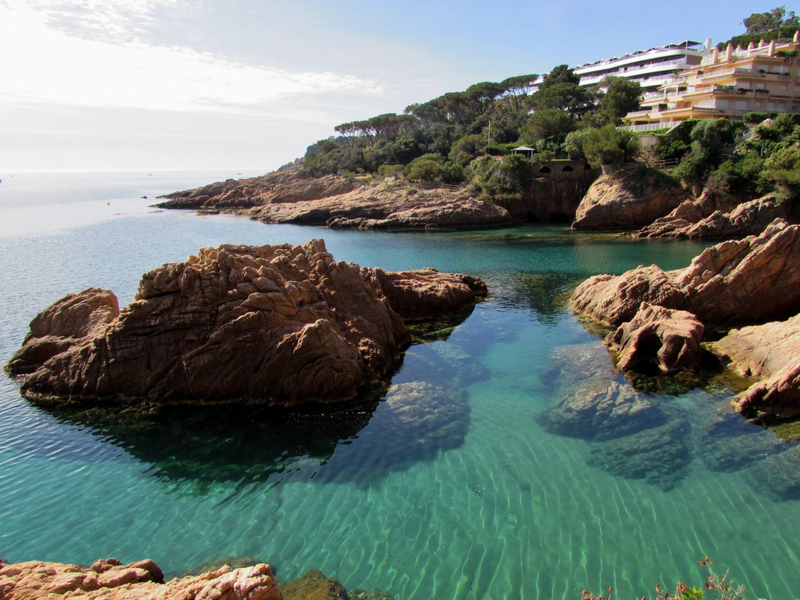 Discover the beauty of the coves that are found in S’Agaro Bay, depending on the conditions we will explore the coves of Sant Feliu de Guíxols or we will go in nort direction to see the area of the bay that belongs to Playa de Aro. 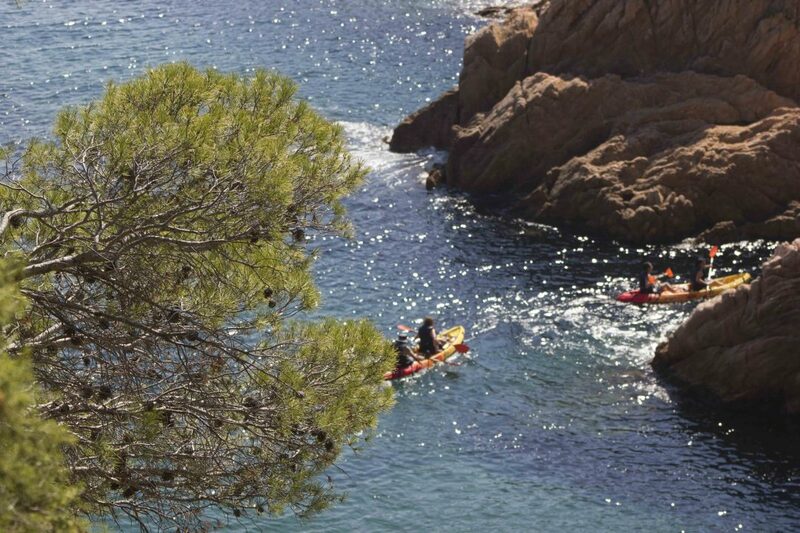 If we make the excursion to the San Feliu de Guíxols band, you will discover Cala Masset, the cave of the owls, the cave of the bat, cap de mort and the cove of the wind. 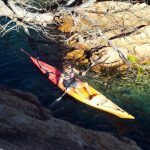 If we make the kayak excursion to playa de aro, we can discover the sunken ship, the corner of the gavina, Punta de Pau and Cala Pedrosa. 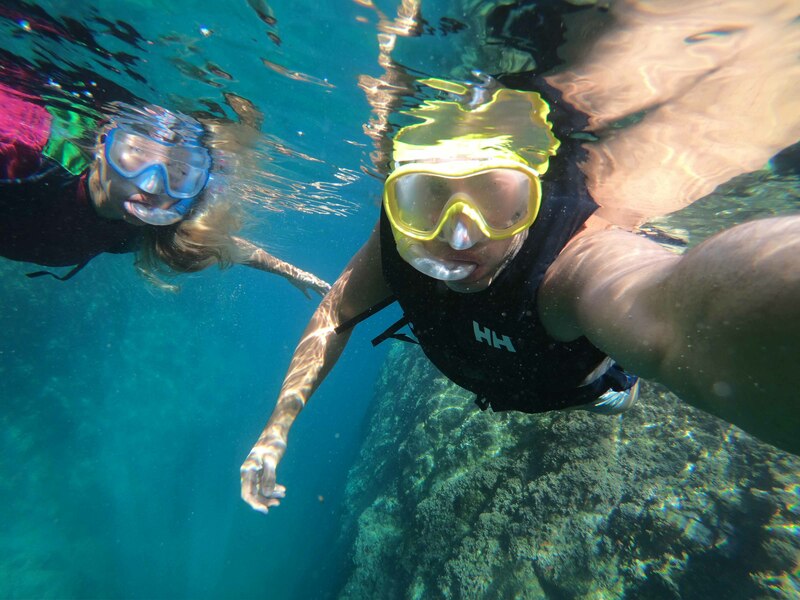 In any of the cases you will discover the natural beauty that you can only see from the sea, you will be accompanied at all times by our qualified guides and instructors. 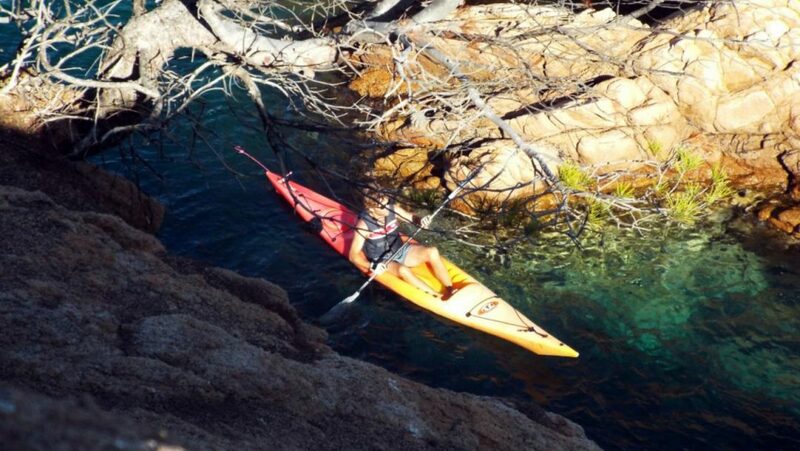 No previous experience is nedeed to make the kayak excursion, before leaving our instructors will give you some technical explanations of how to row to manage the kayak as well as some safety explanations. 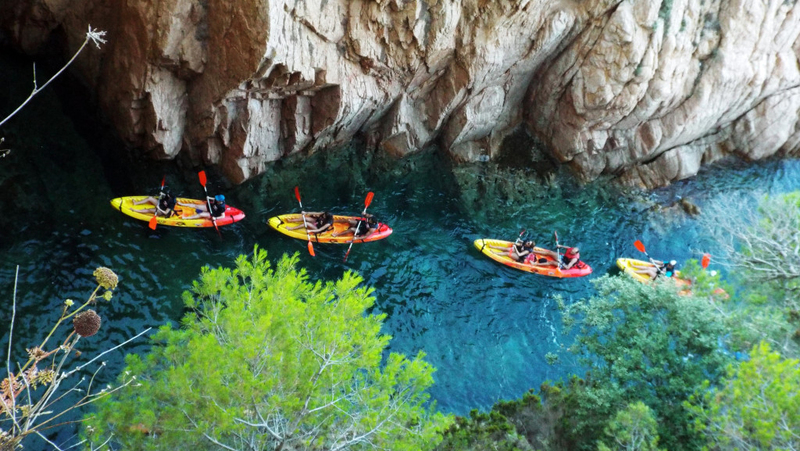 Once the explanation is made, we will enter into all the corners of the bay equipped with snorkel goggles as we will stop to appreciate the seabed and enjoy the beauty, the clear waters and the underwater life of the Costa Brava. 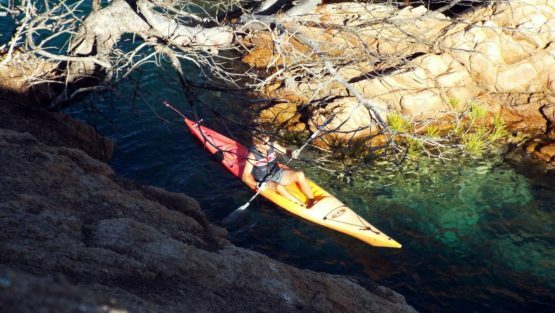 The price includes full kayaks (double or single), goggles and tube, life jacket and guide. 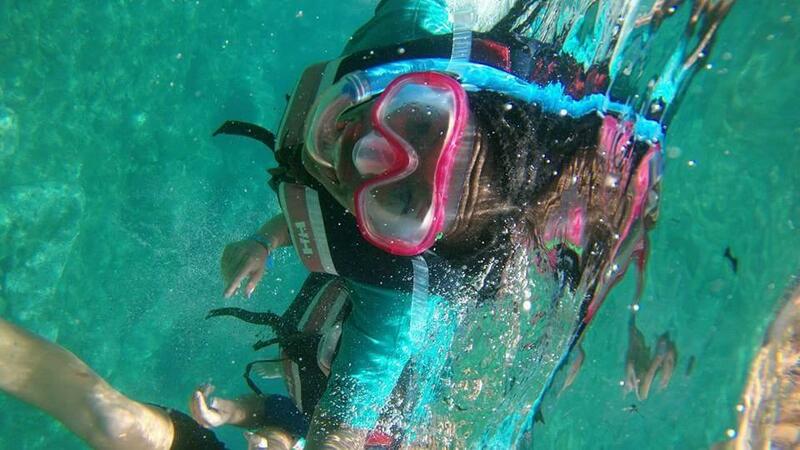 It also includes a neoprene suit for the coldest days.